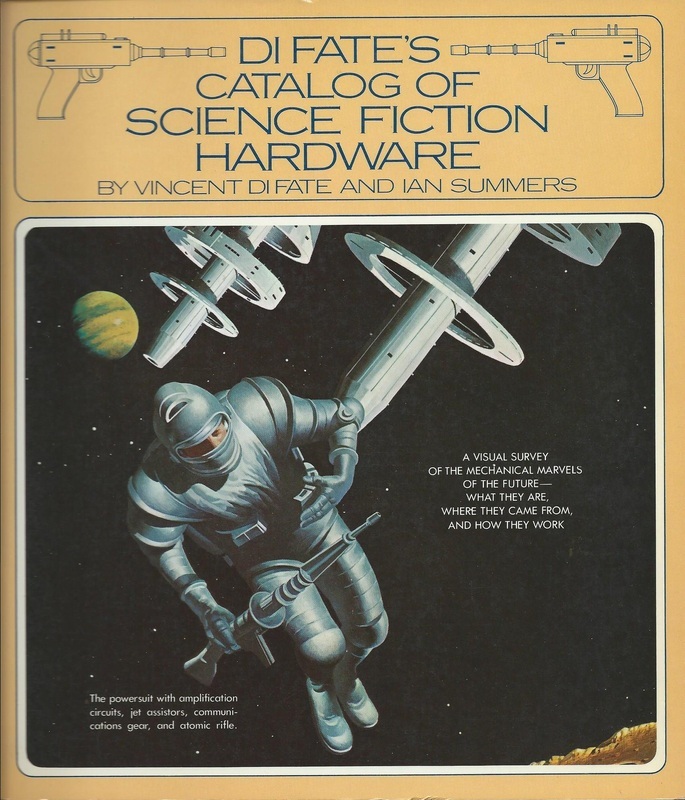 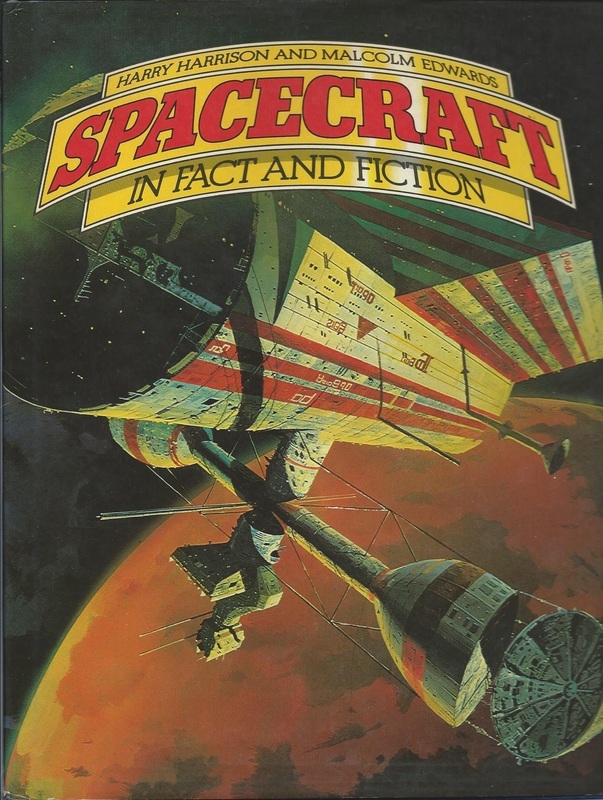 I picked up Across the Space Frontier around 20 years ago at an antique joint that, I believe, no longer exists. 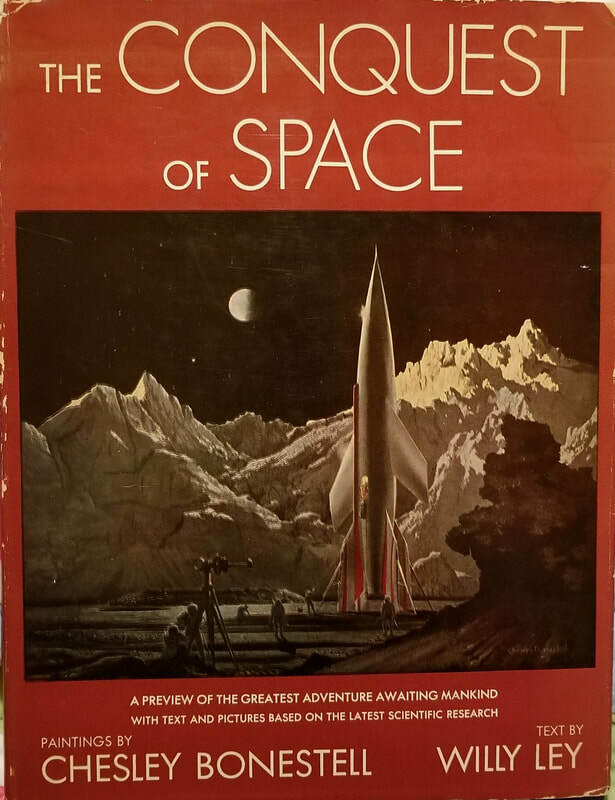 If I recall, the book was $5—an incredible steal for an original 1952 classic. 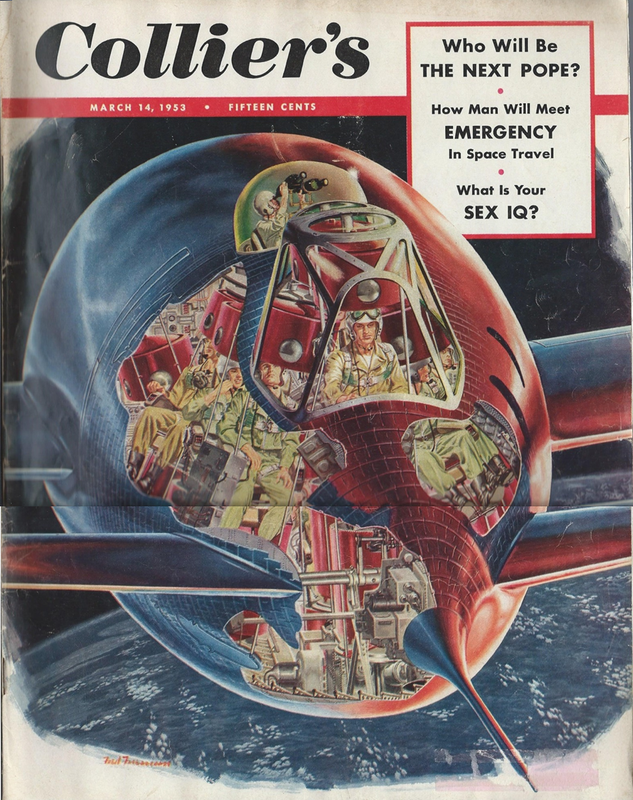 OK, I cheated a little by including this one, because Collier's magazine of course is not a book. 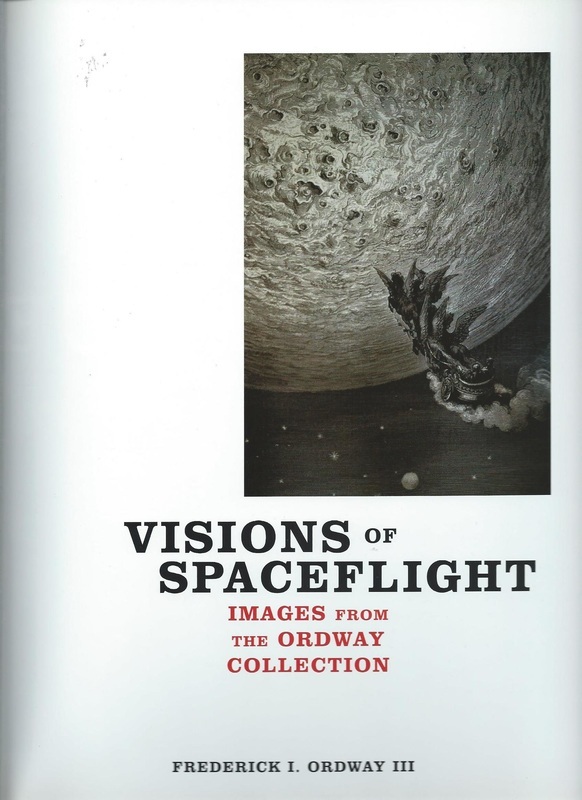 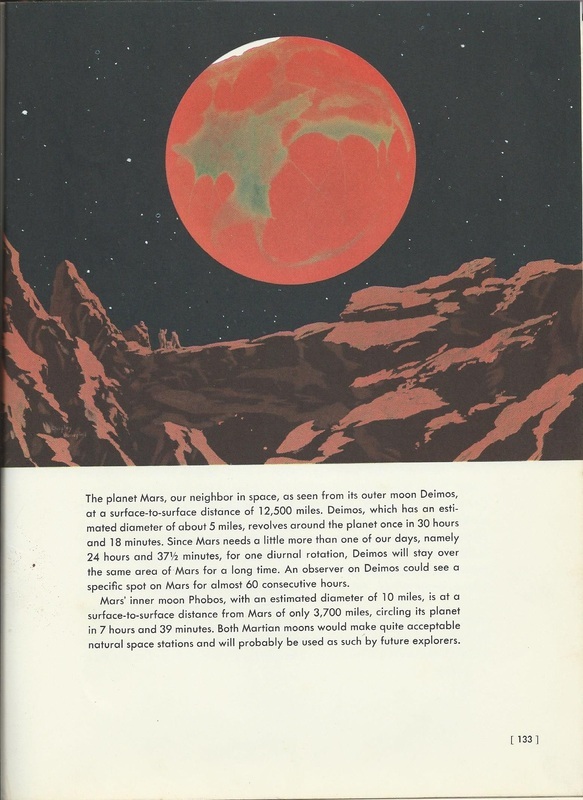 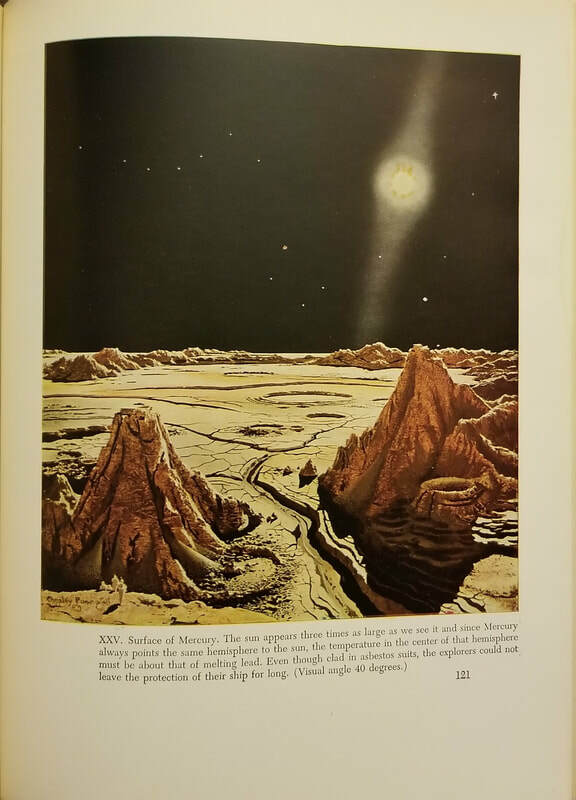 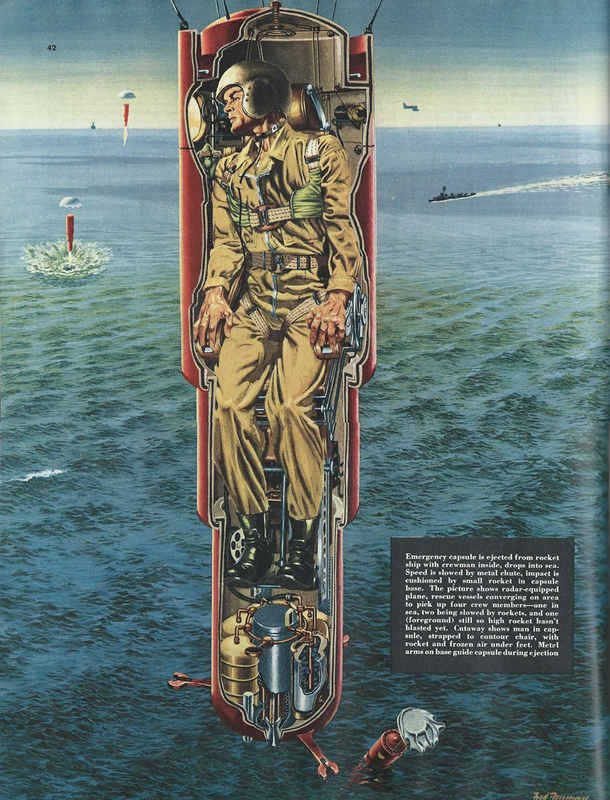 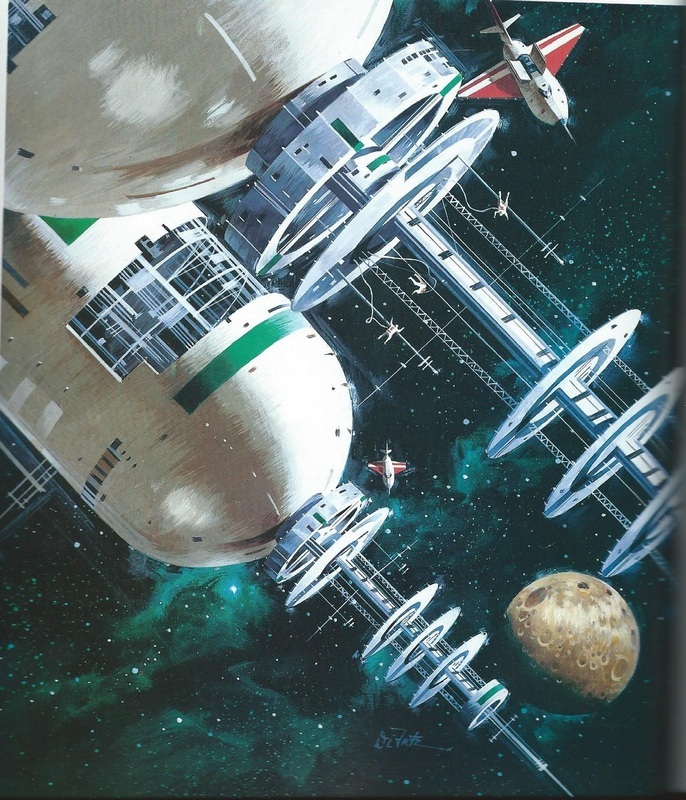 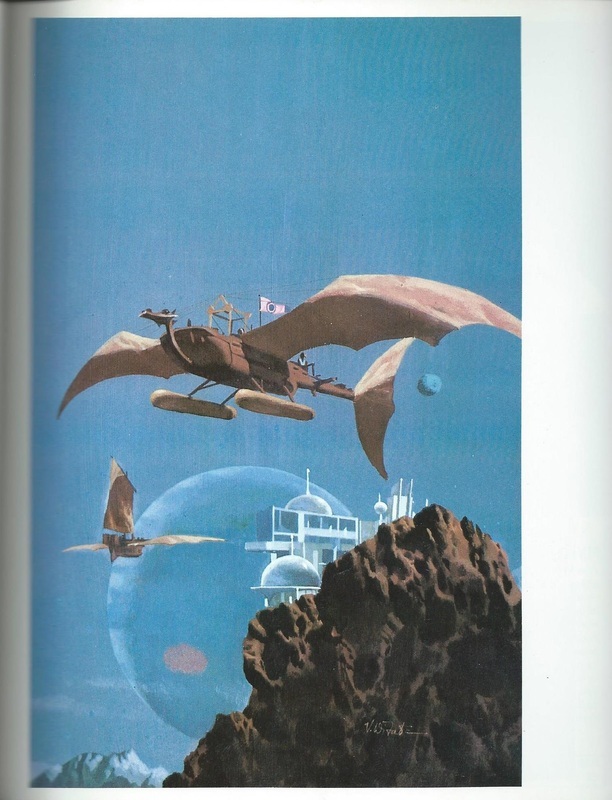 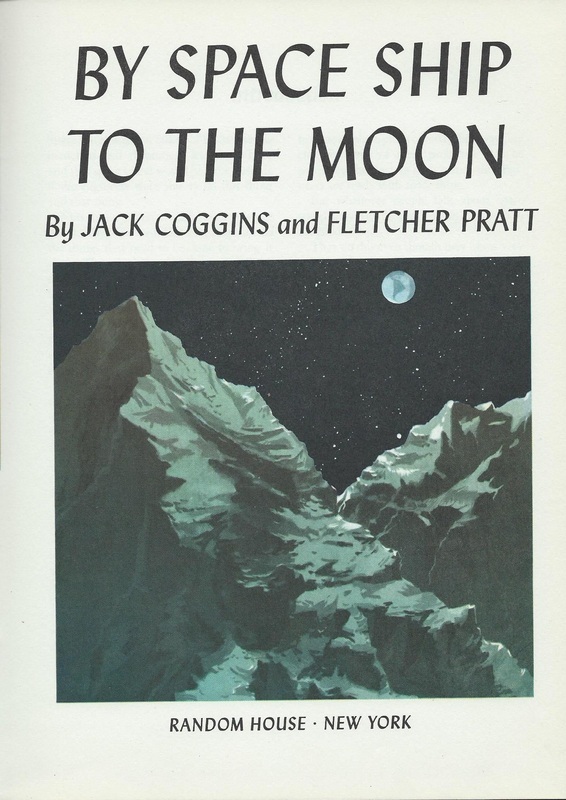 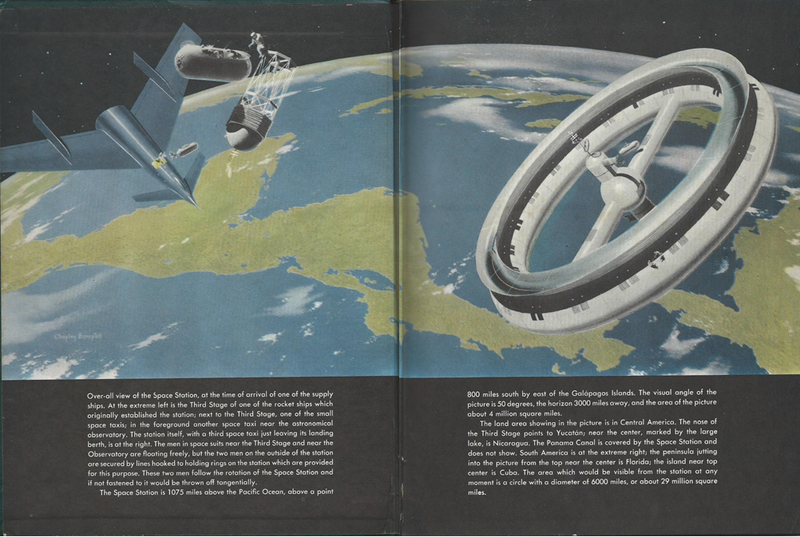 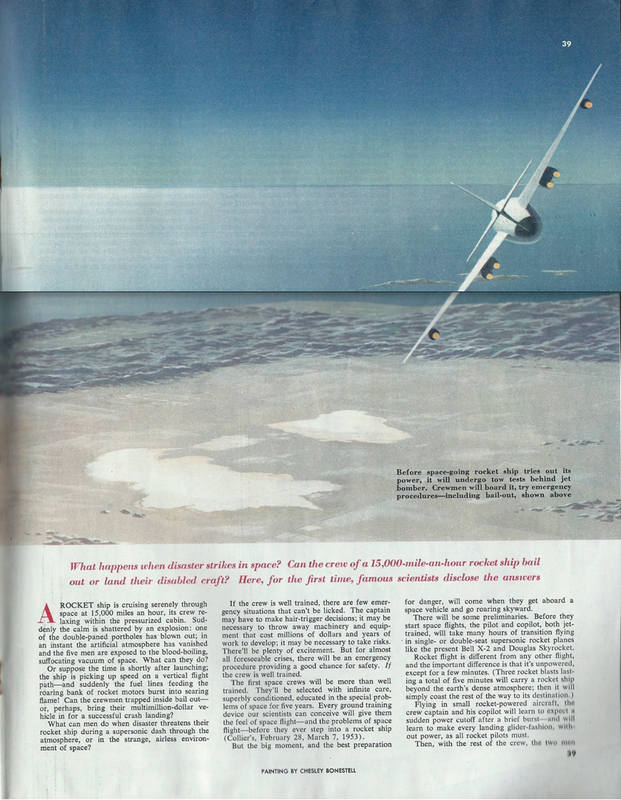 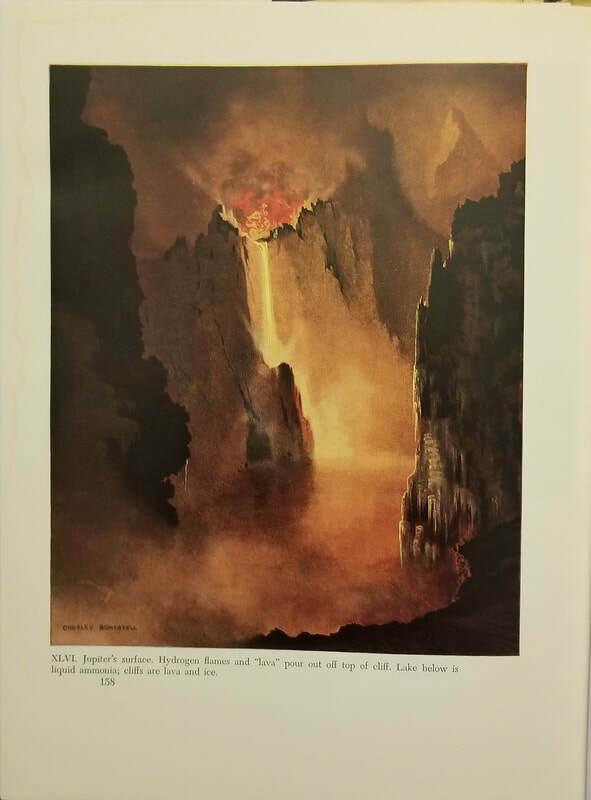 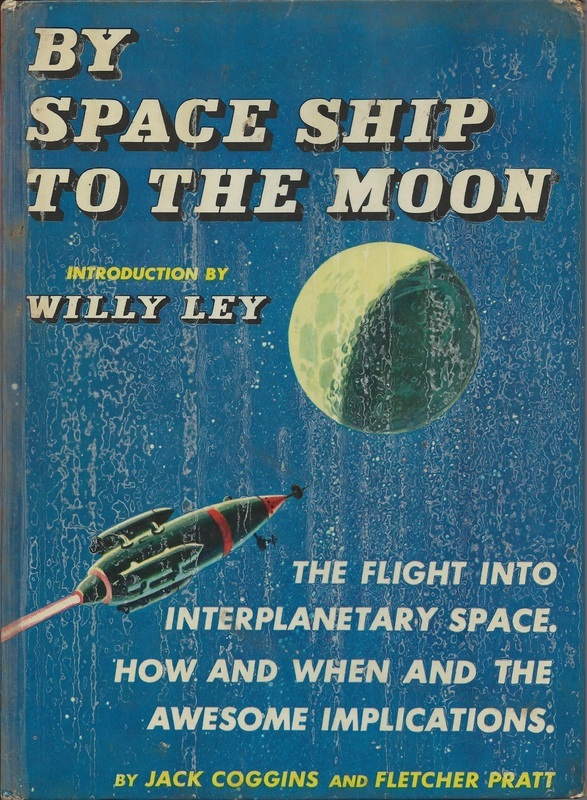 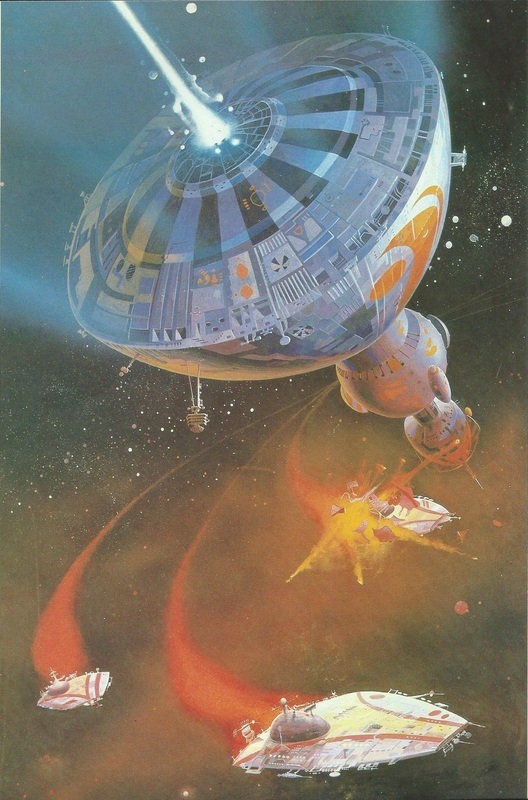 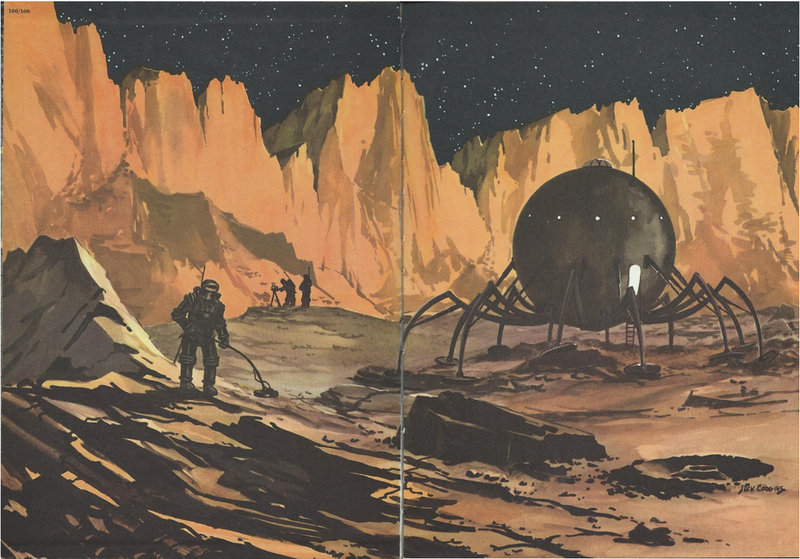 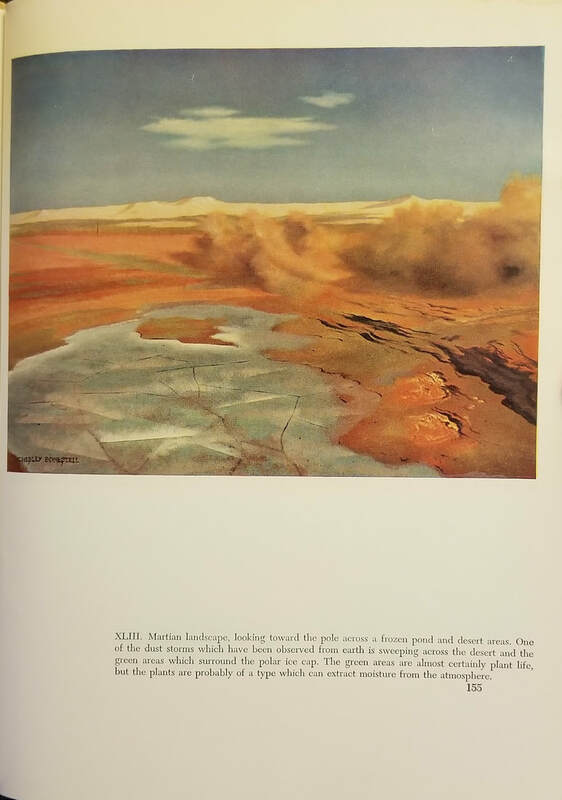 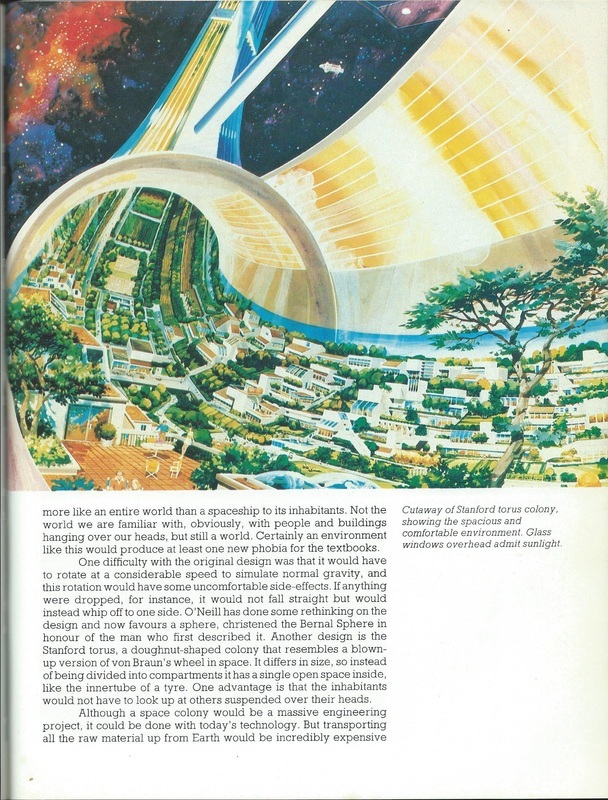 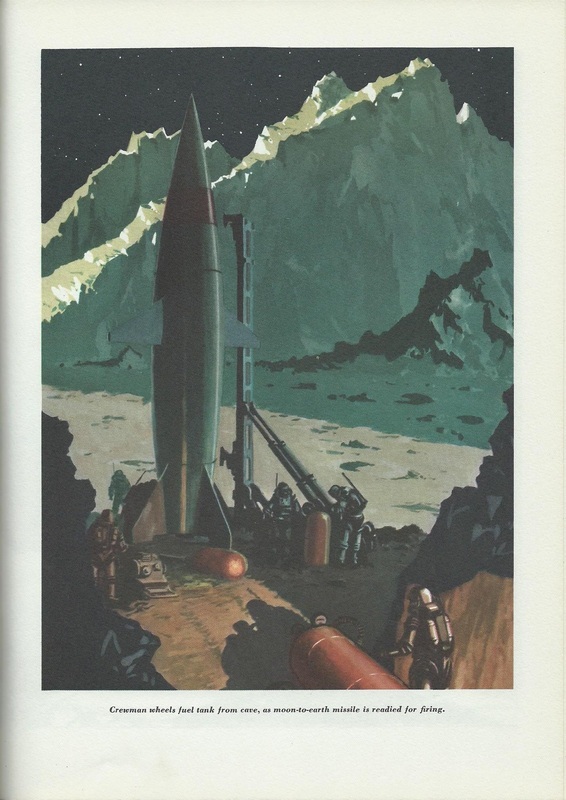 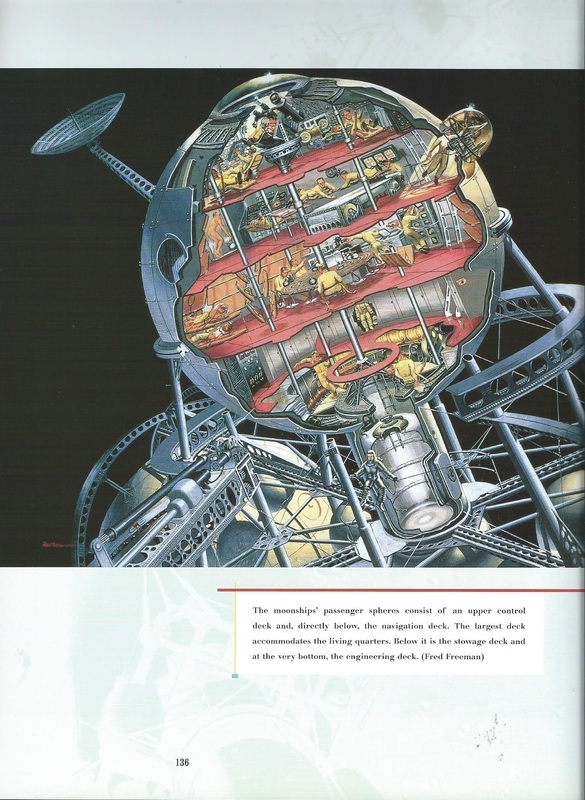 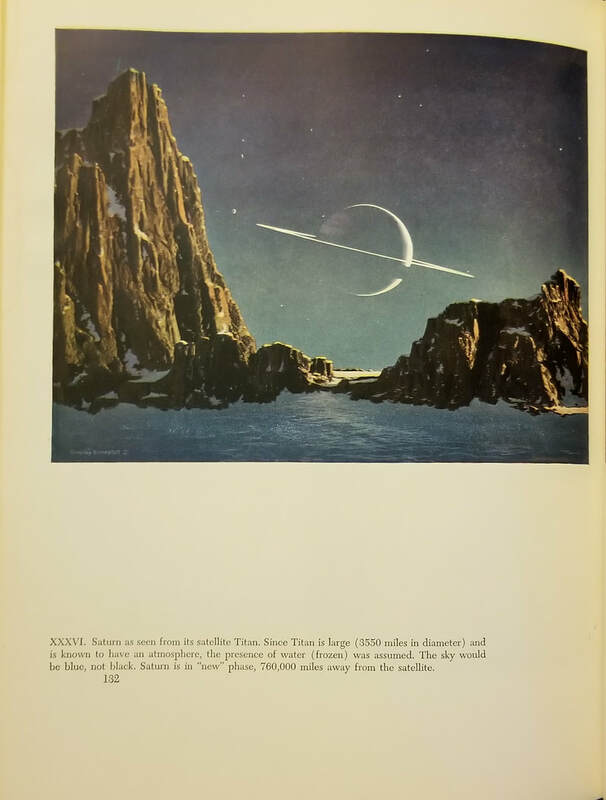 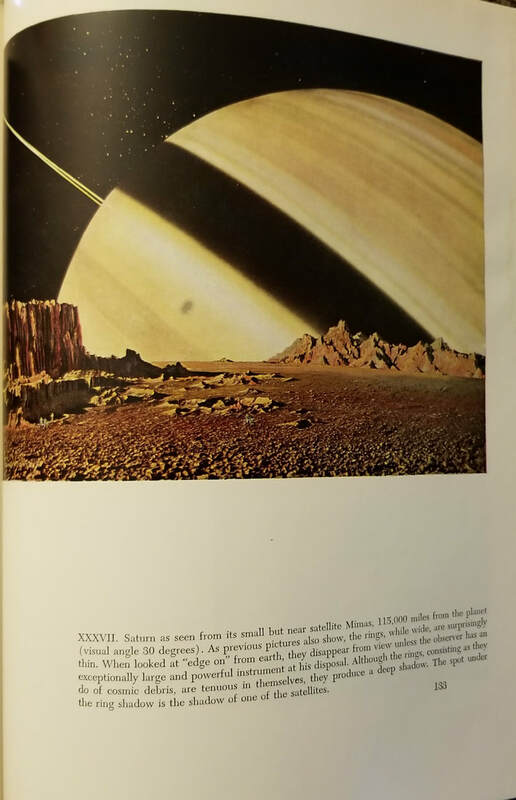 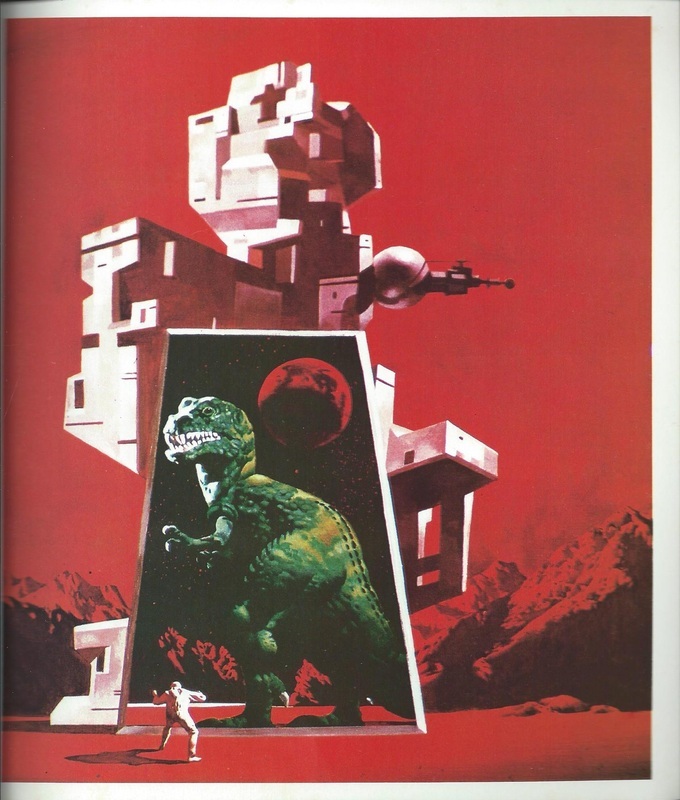 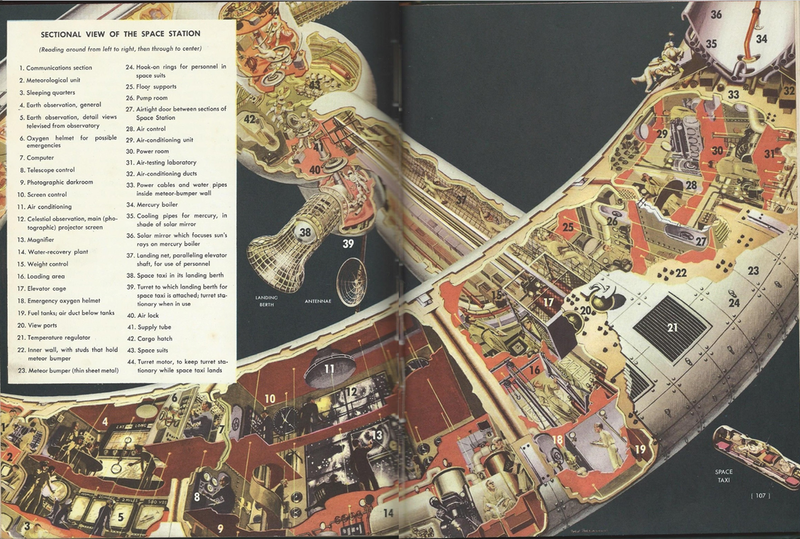 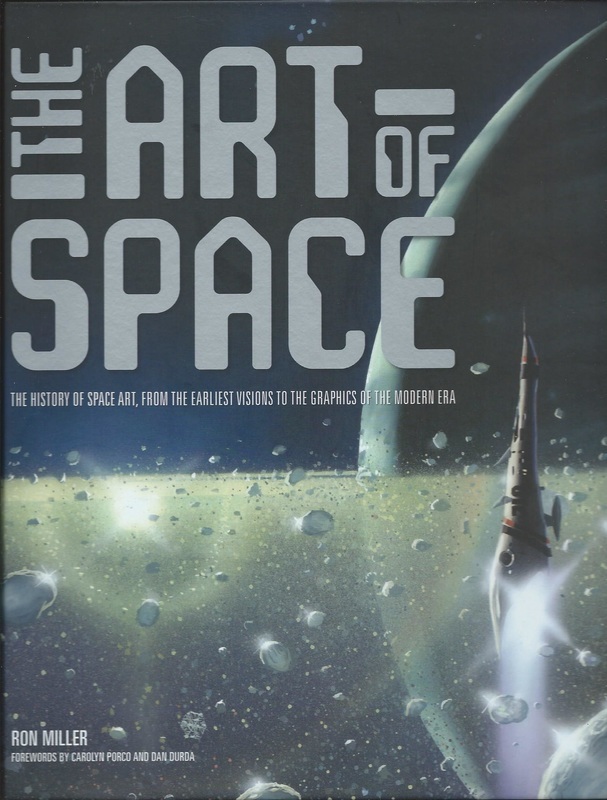 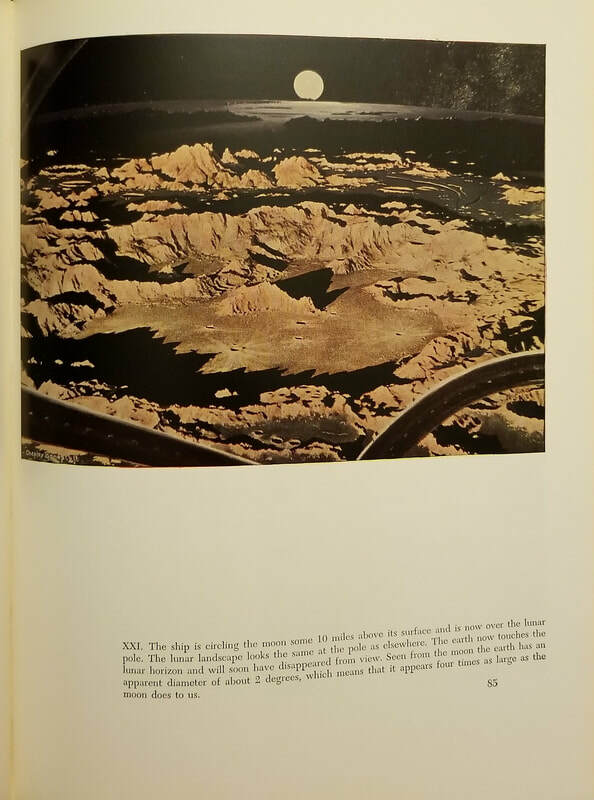 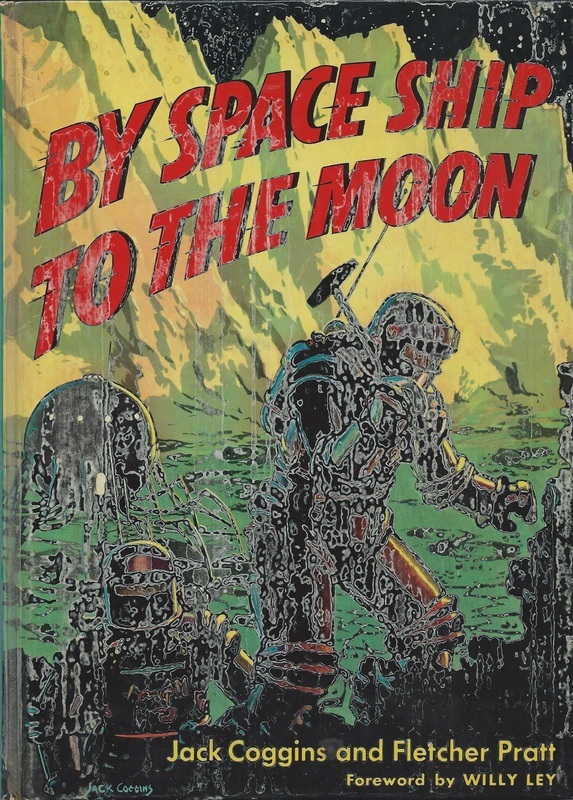 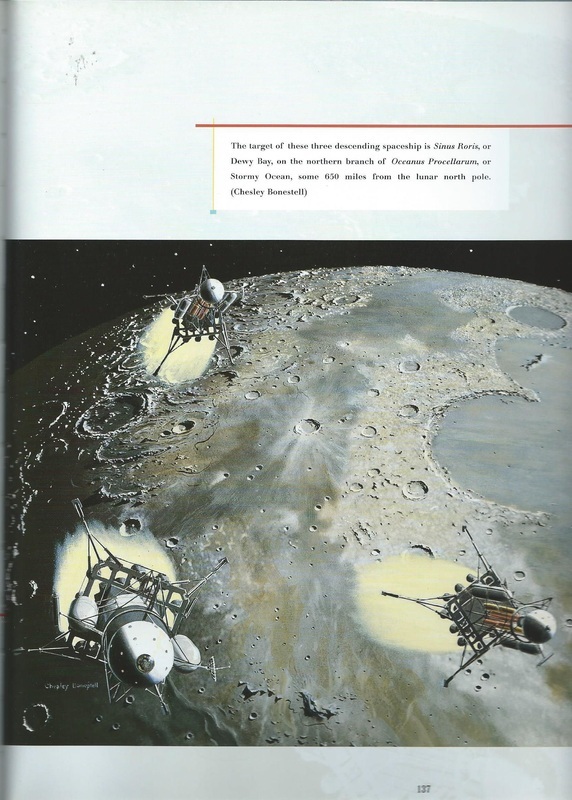 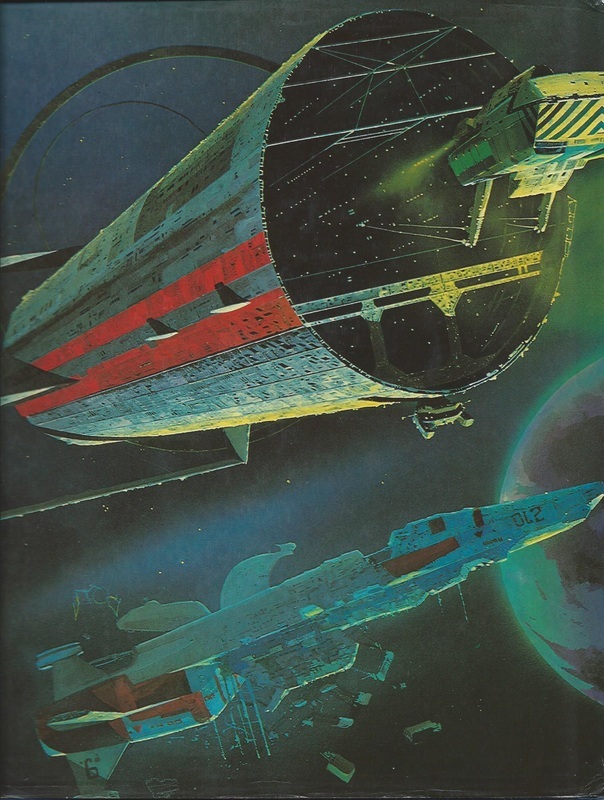 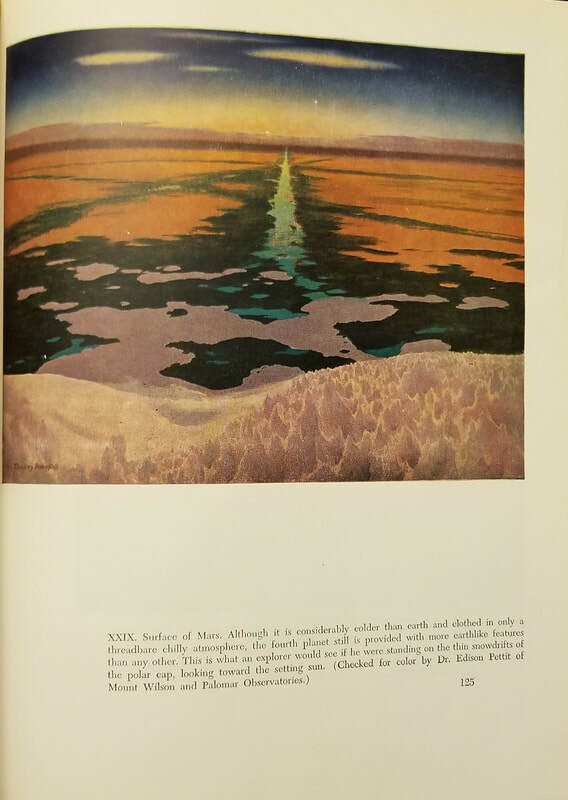 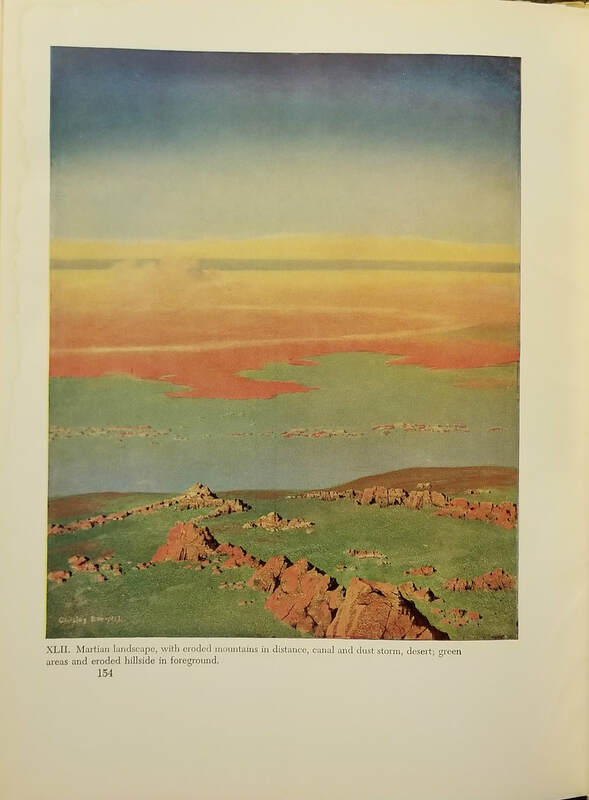 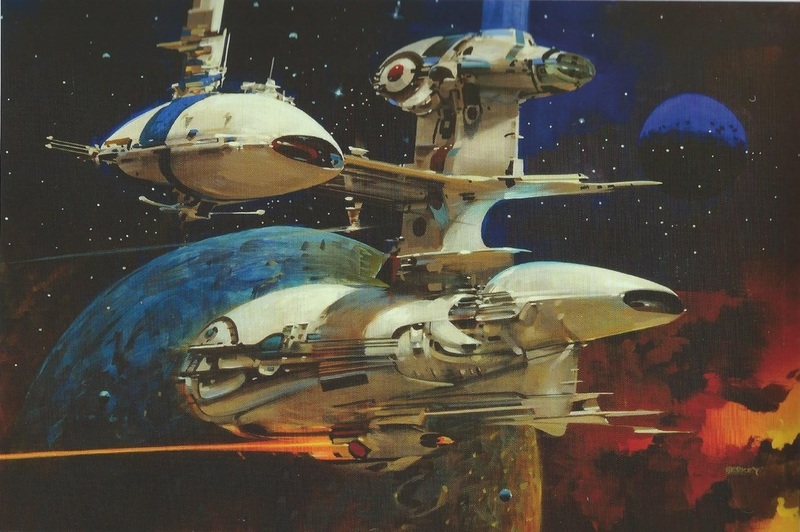 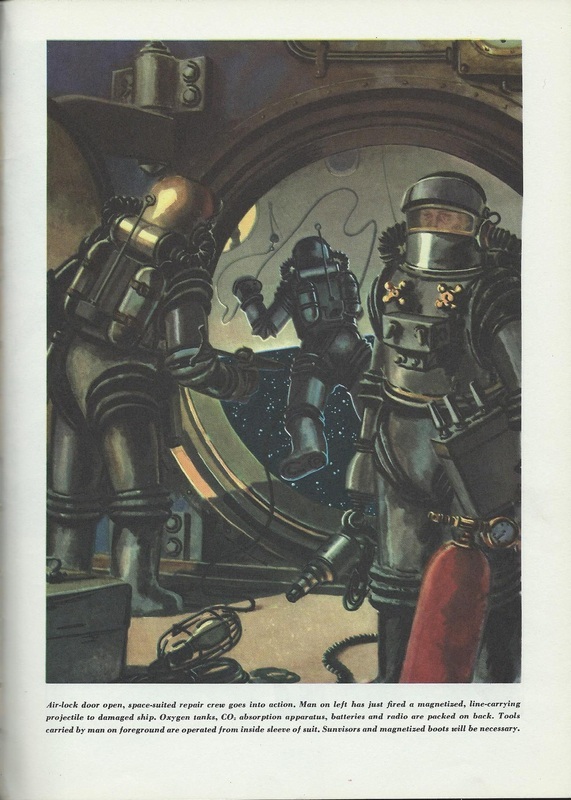 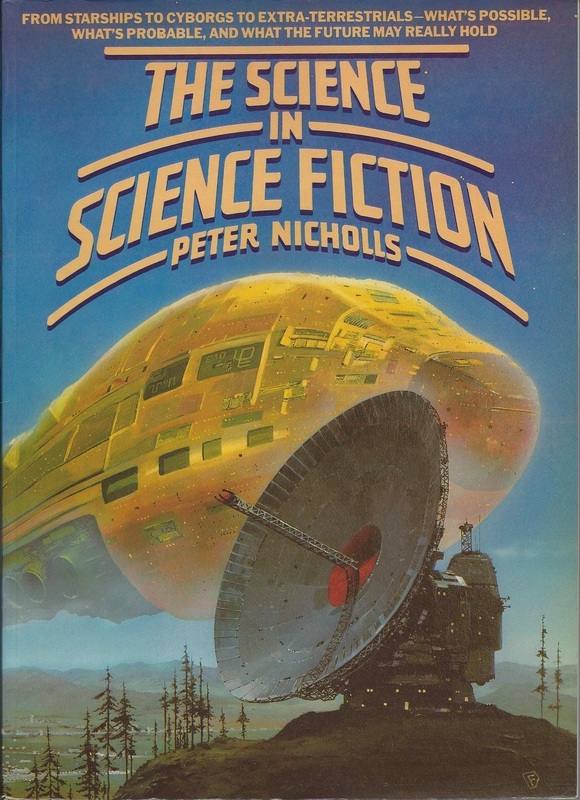 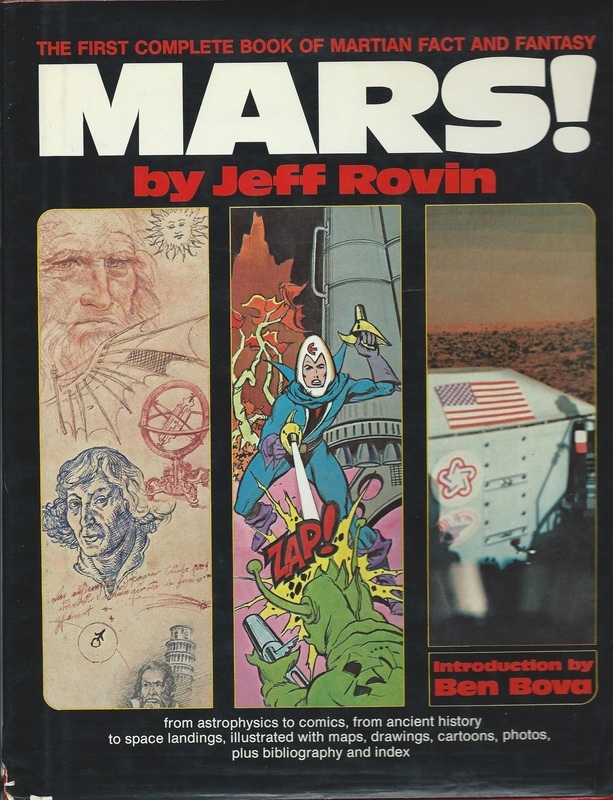 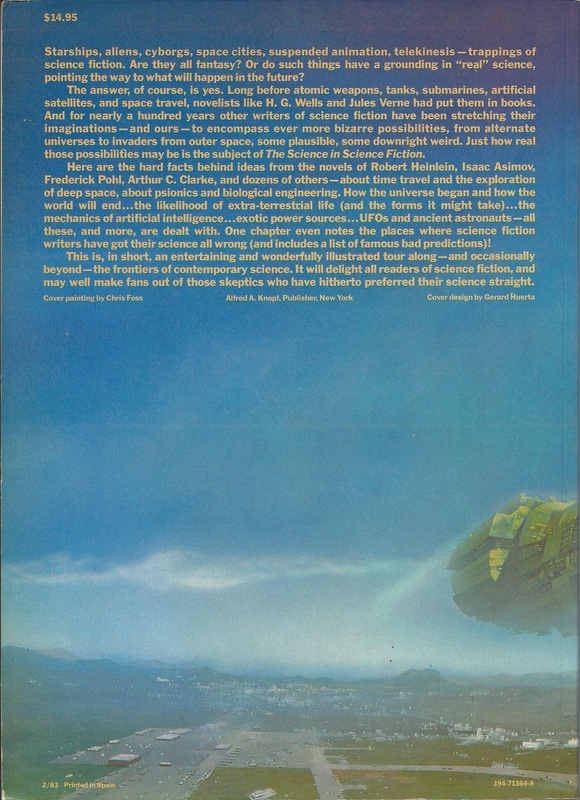 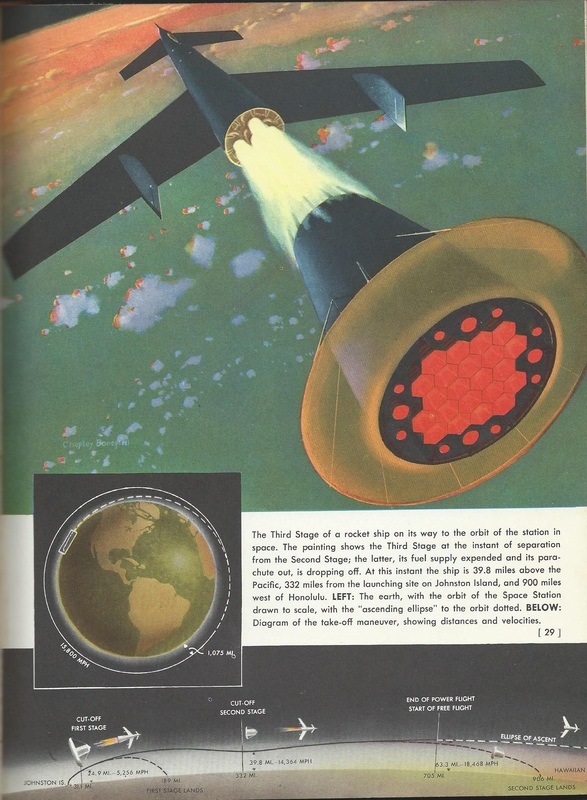 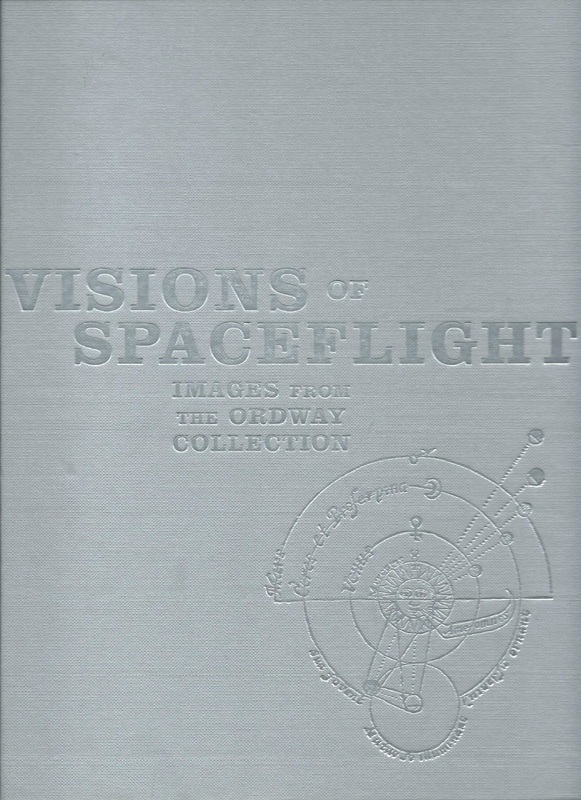 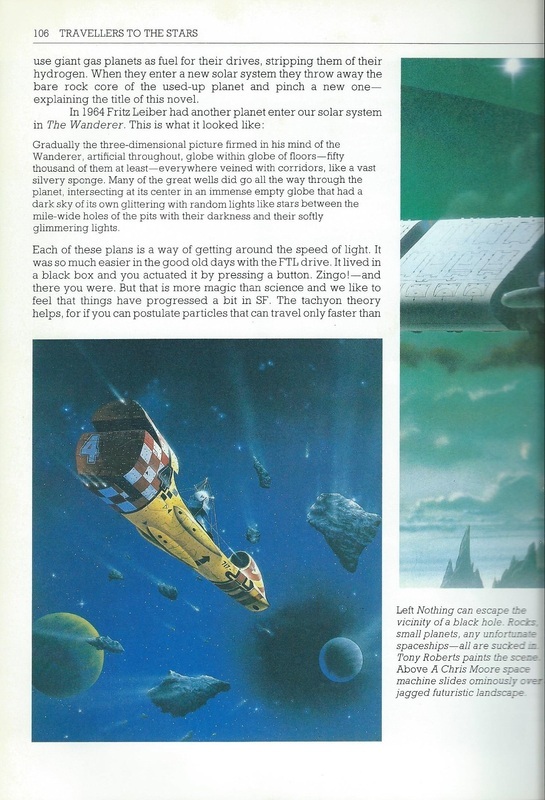 Ah, but it sure is big, and it sure is illustrated—by Chesley Bonestell and Fred Freeman, no less. 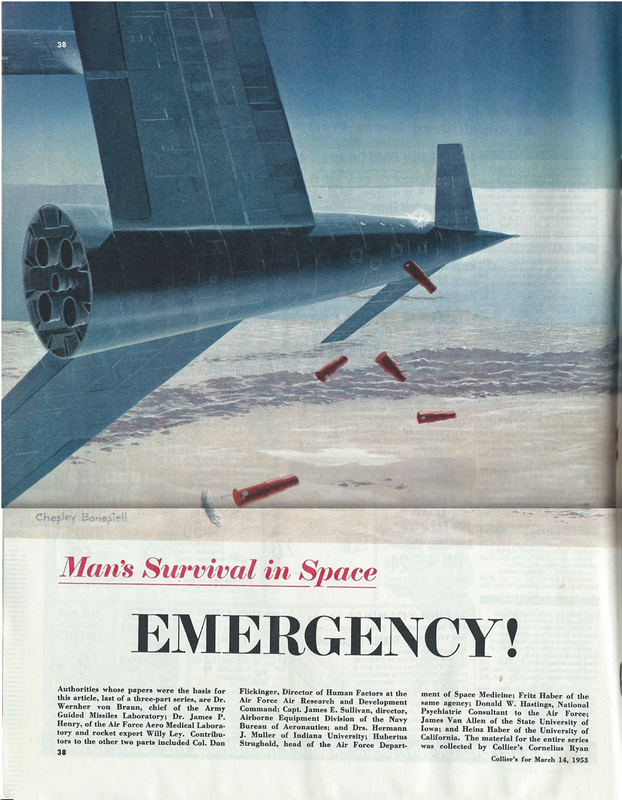 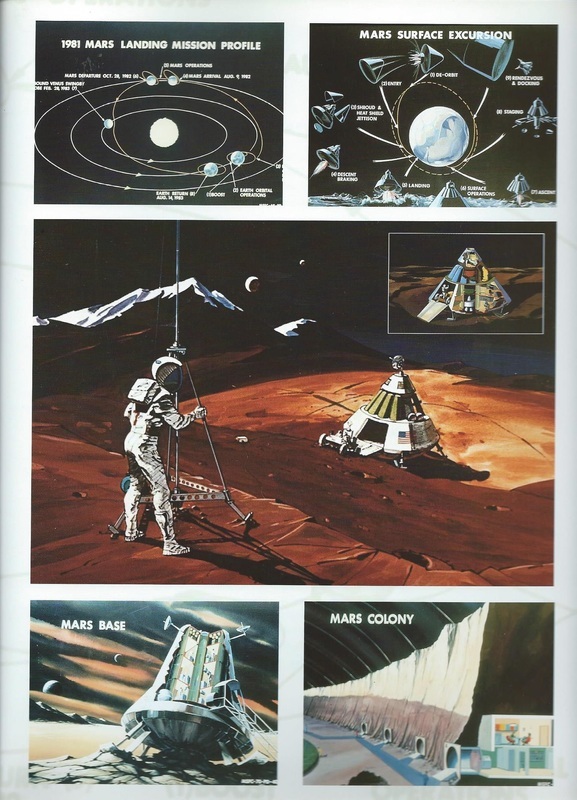 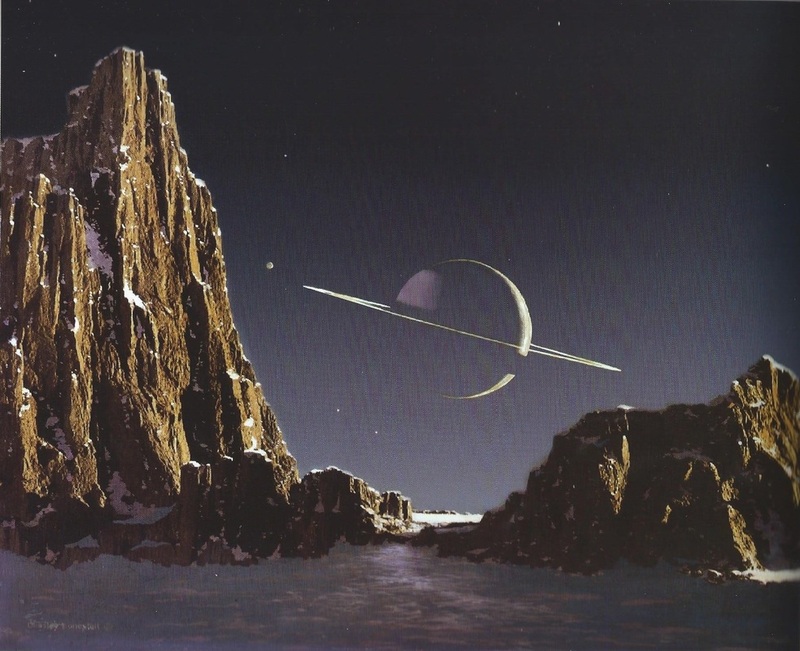 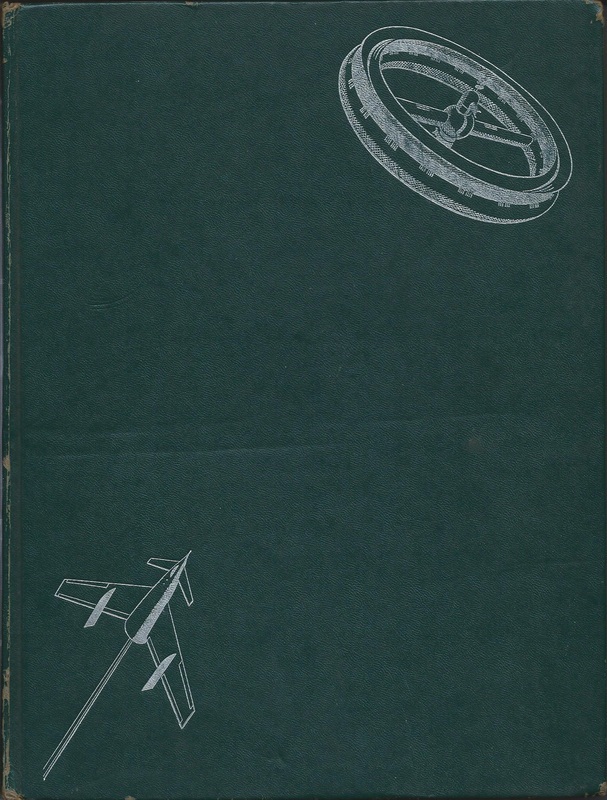 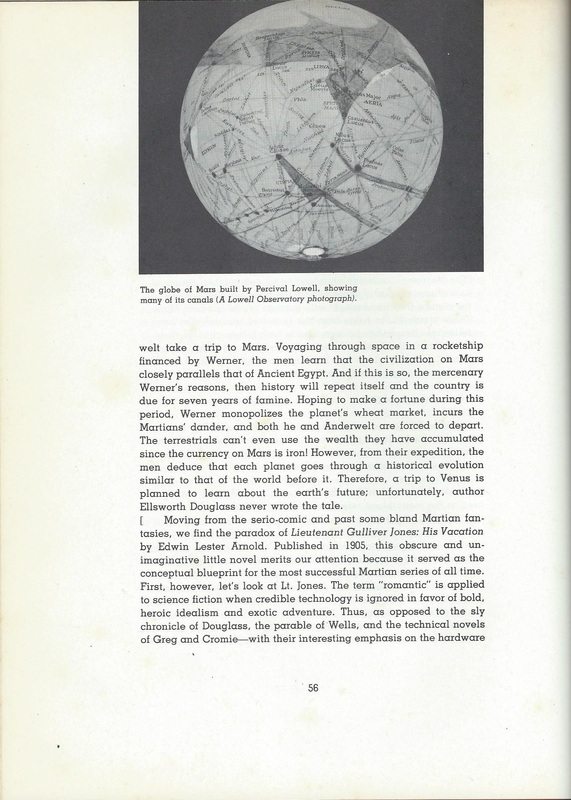 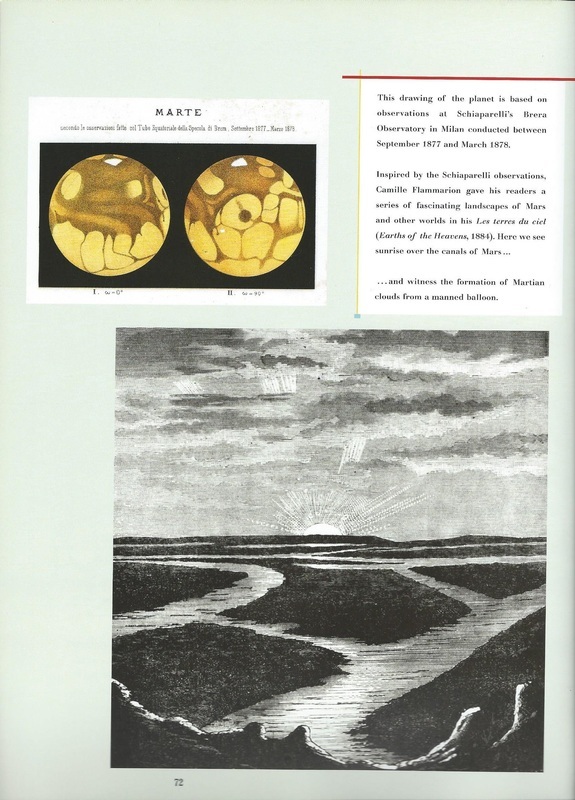 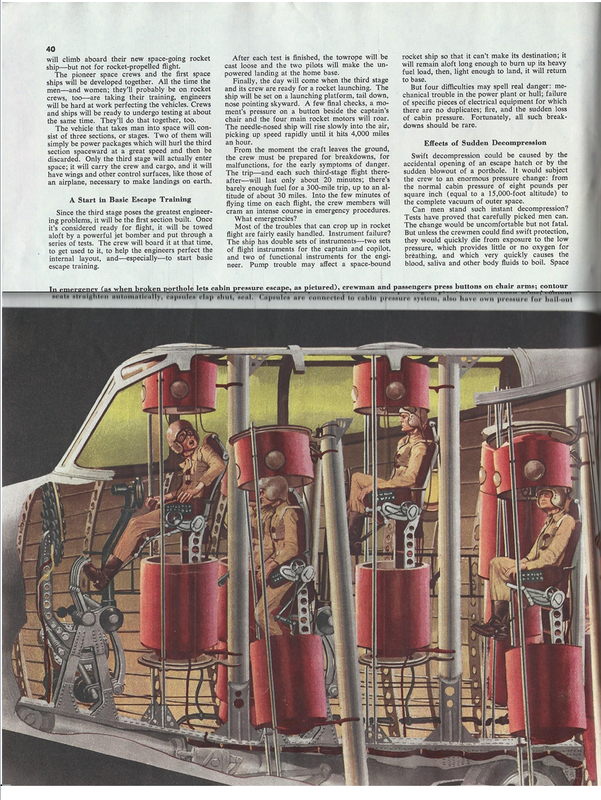 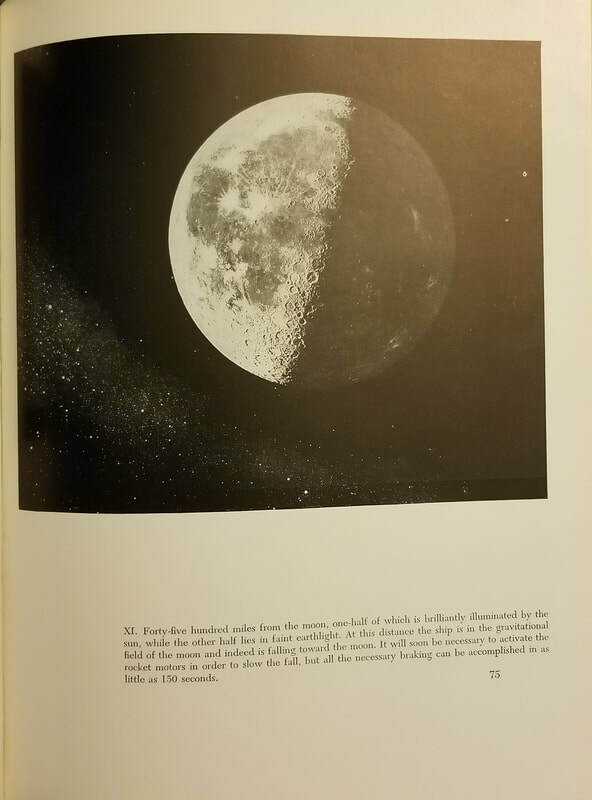 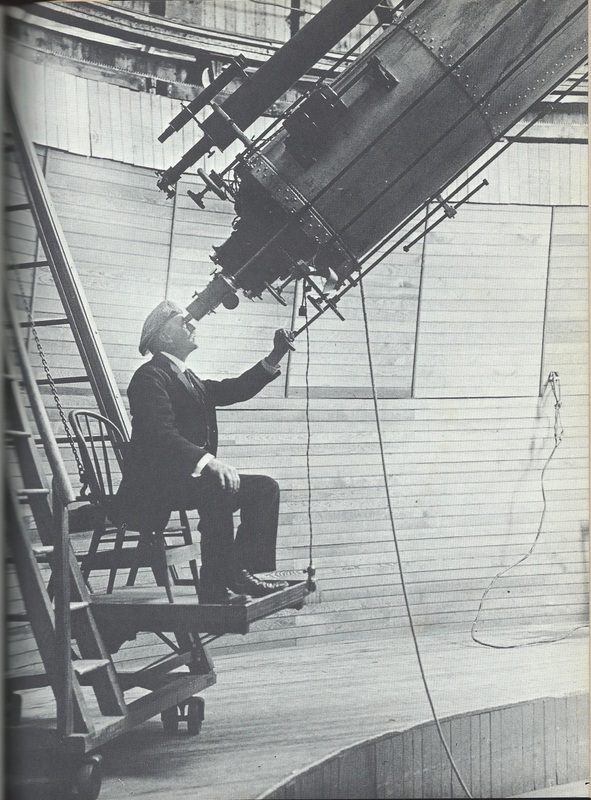 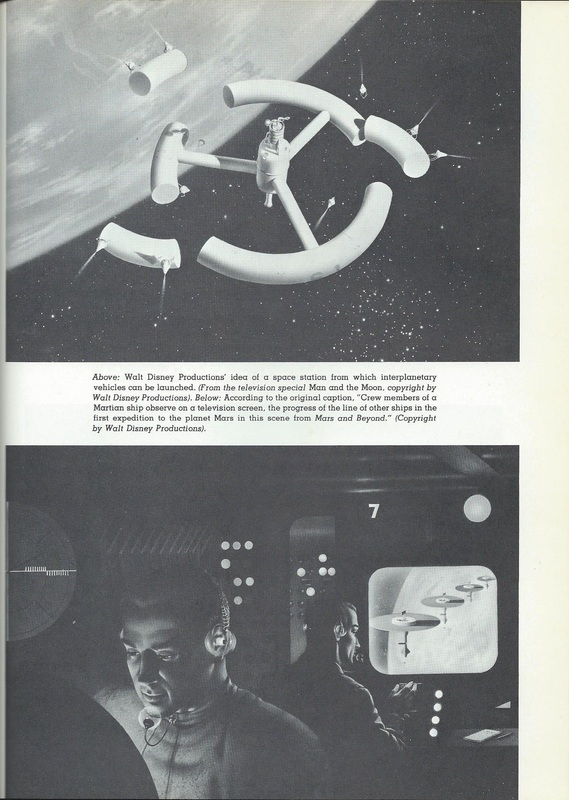 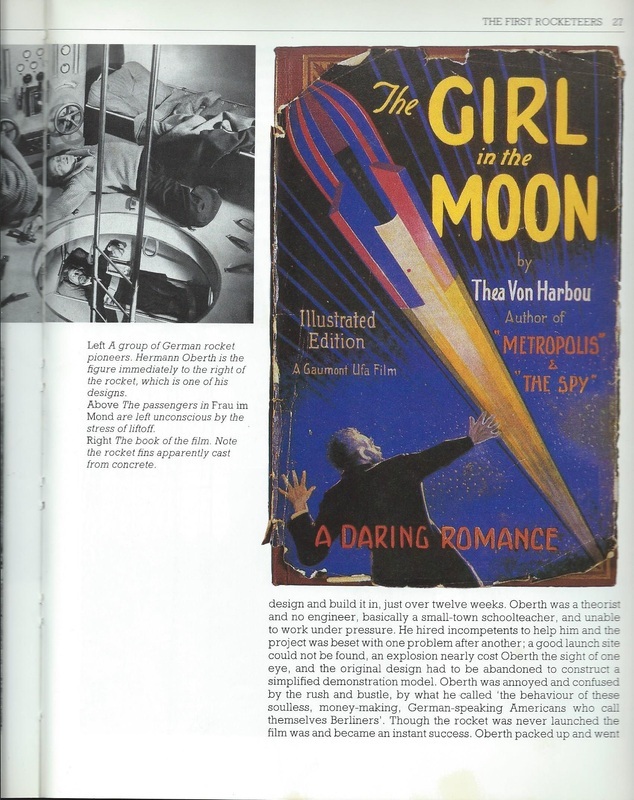 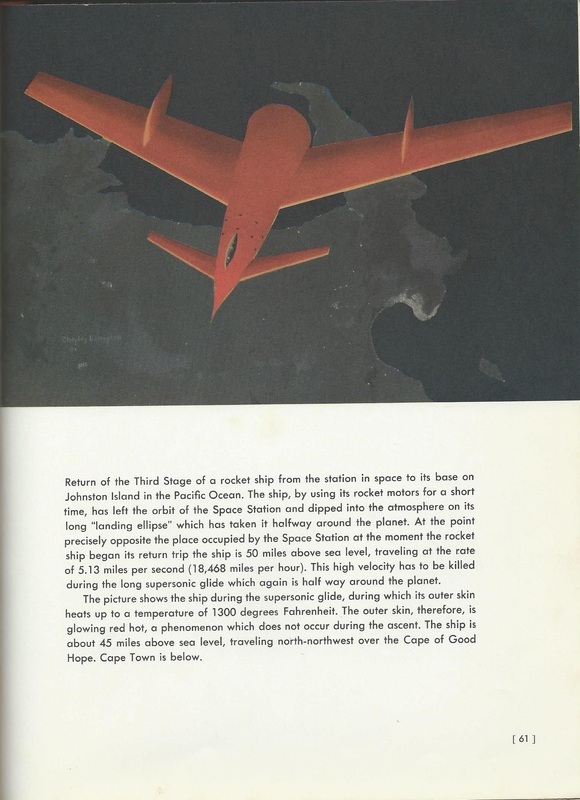 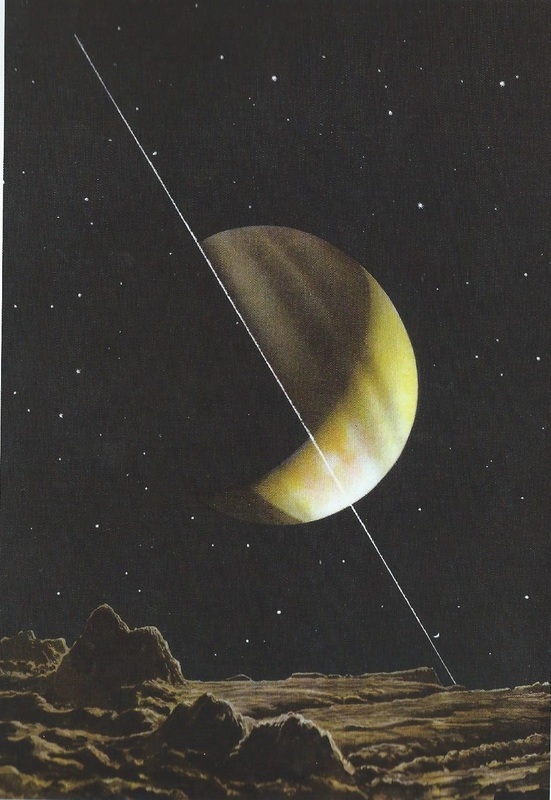 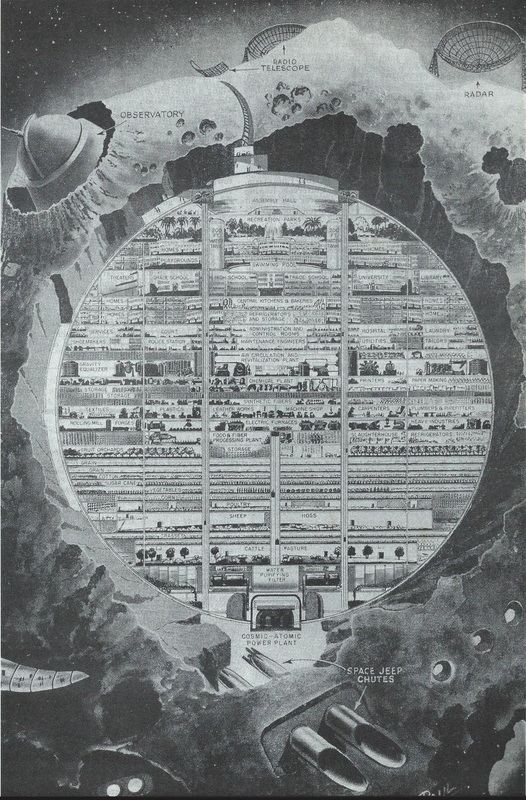 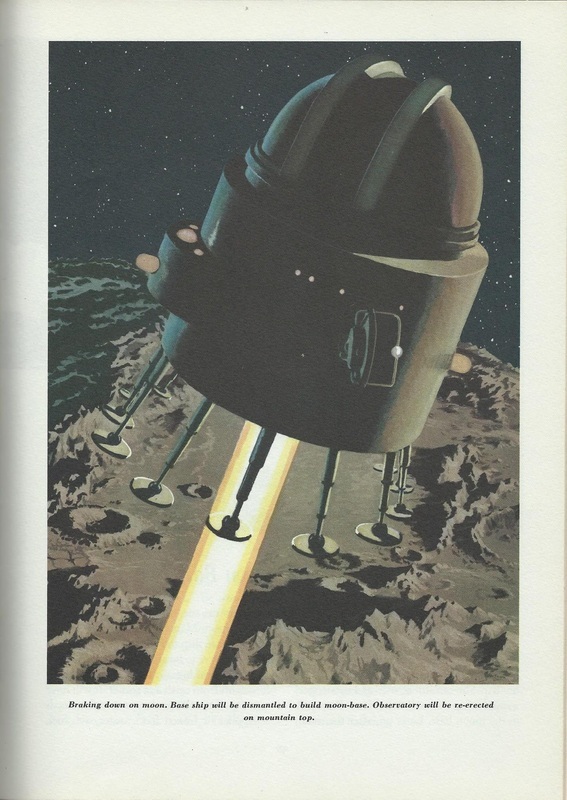 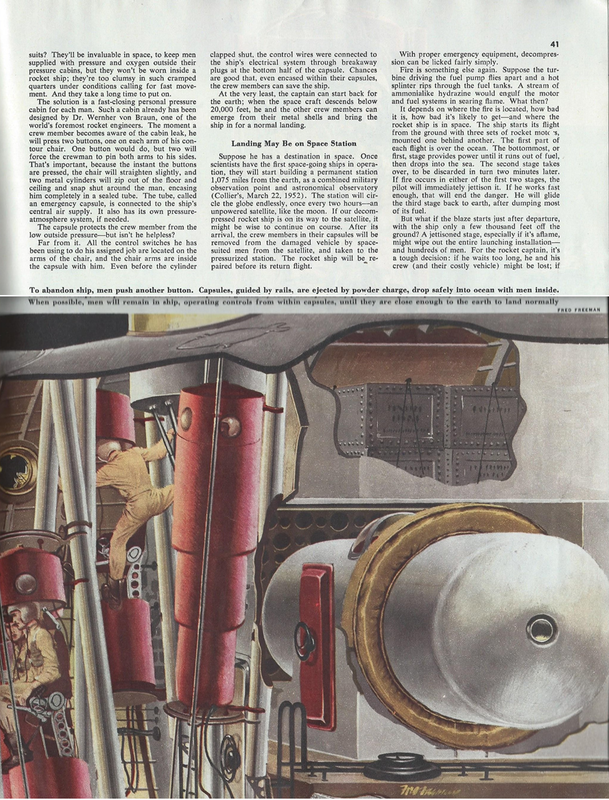 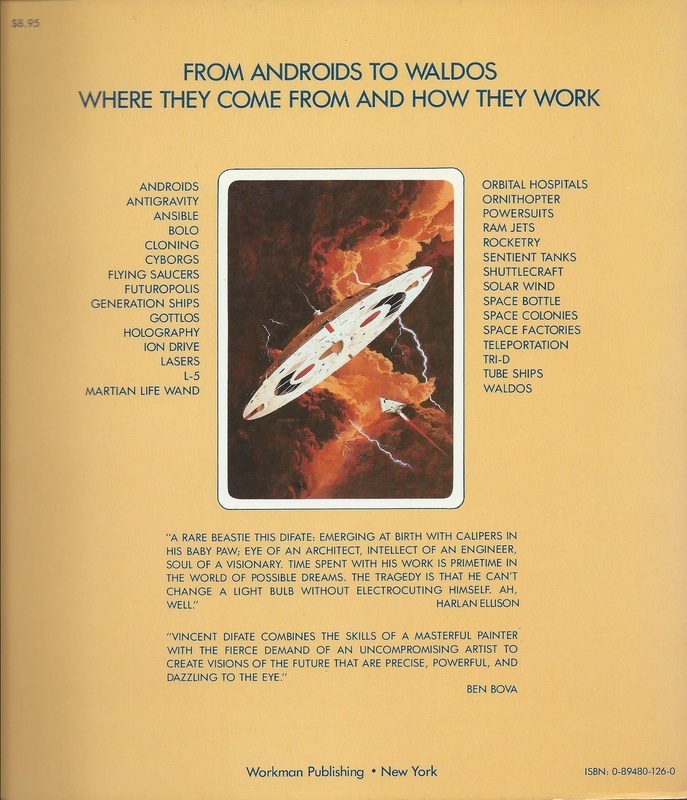 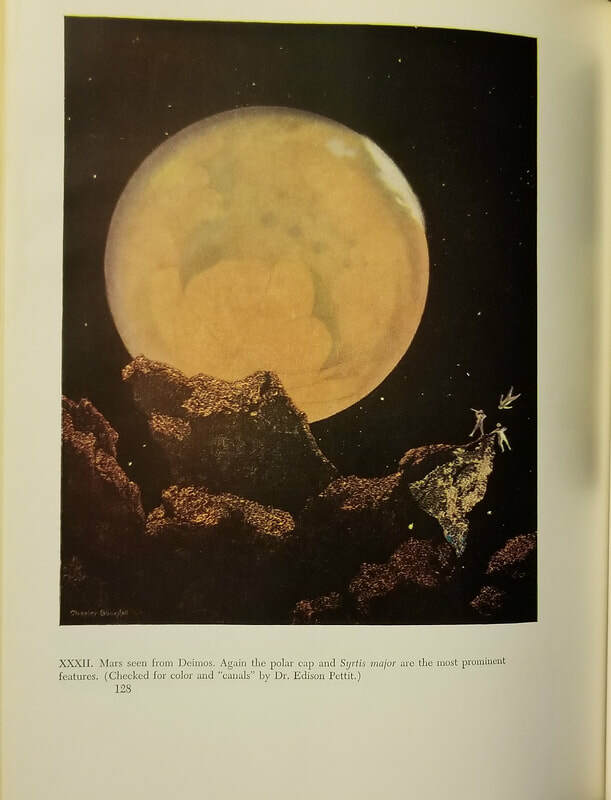 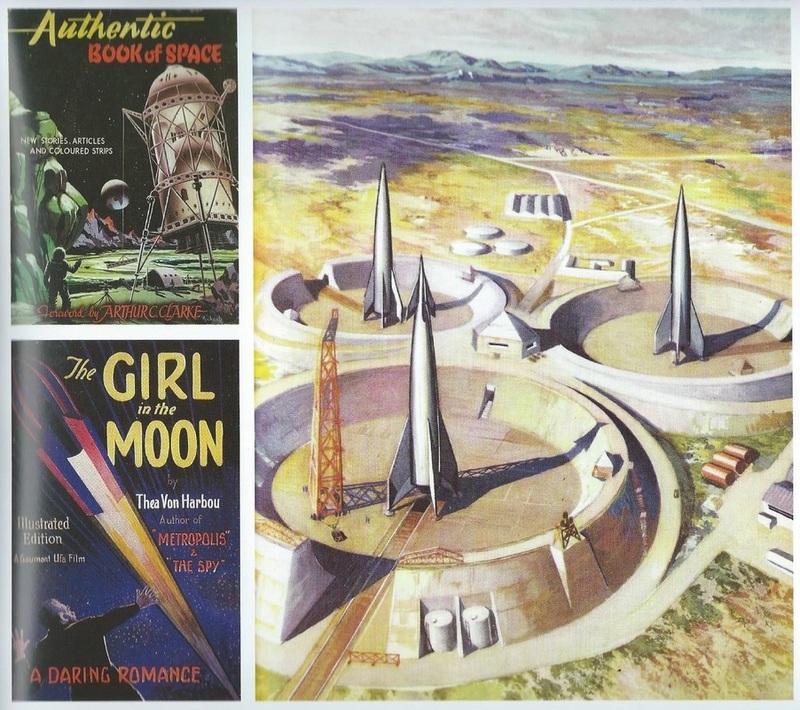 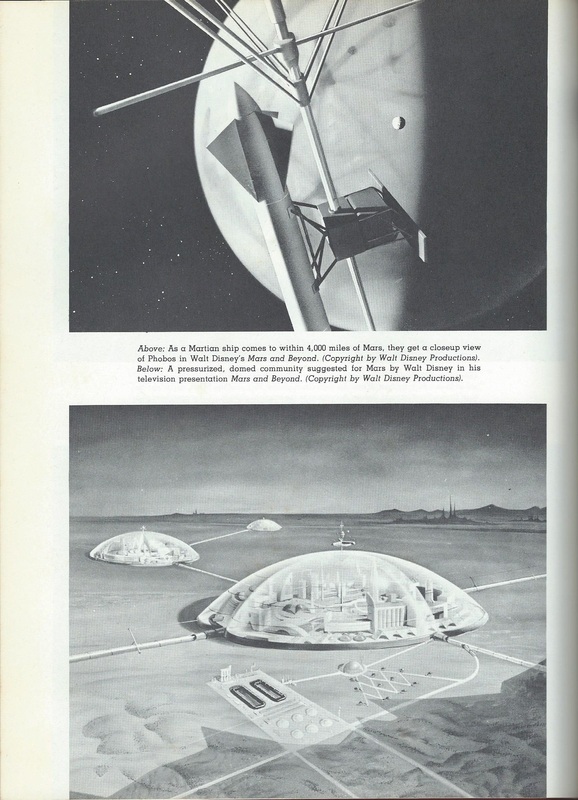 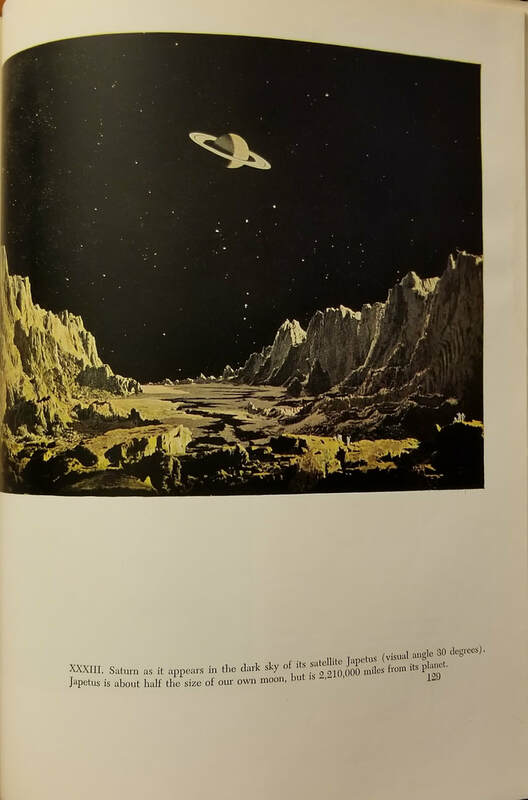 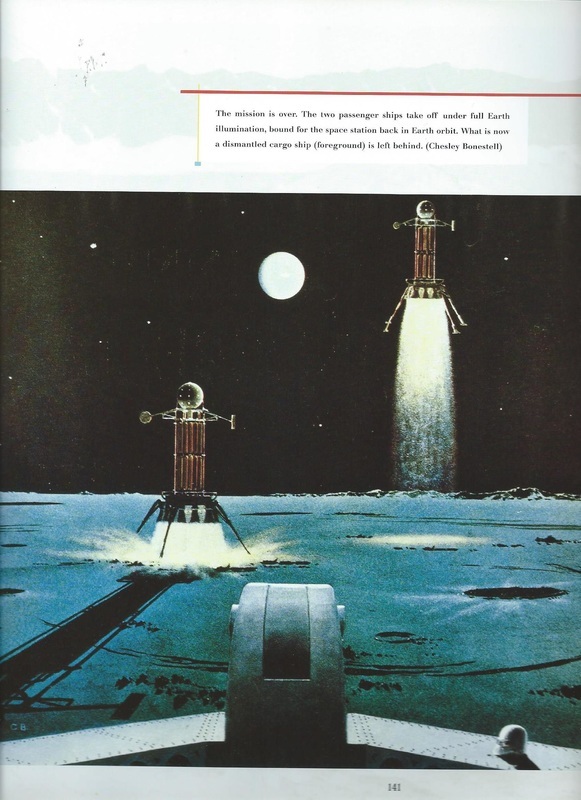 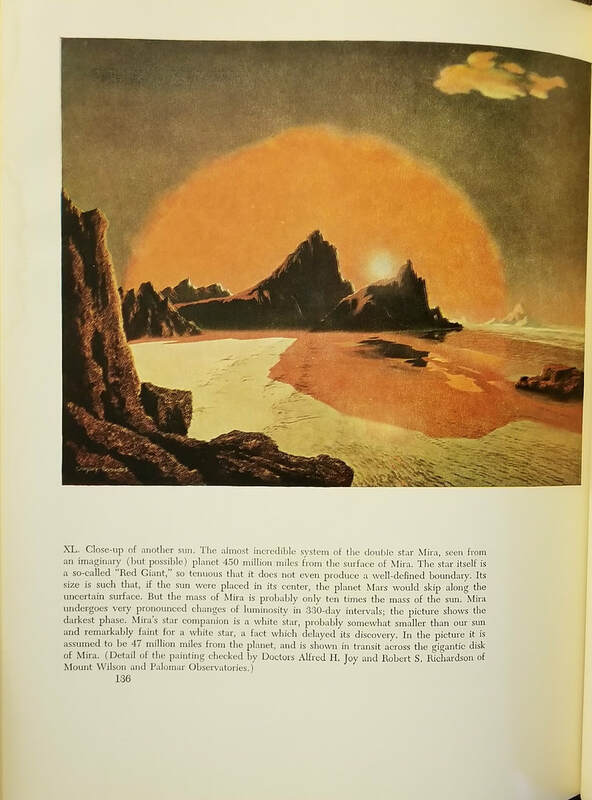 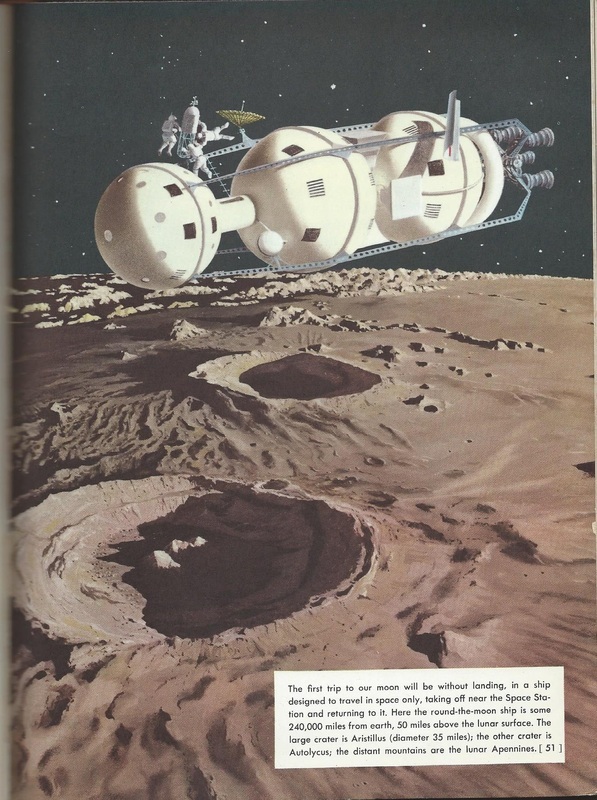 This is from the third and last article of a 1953 series on the coming exploration of space. 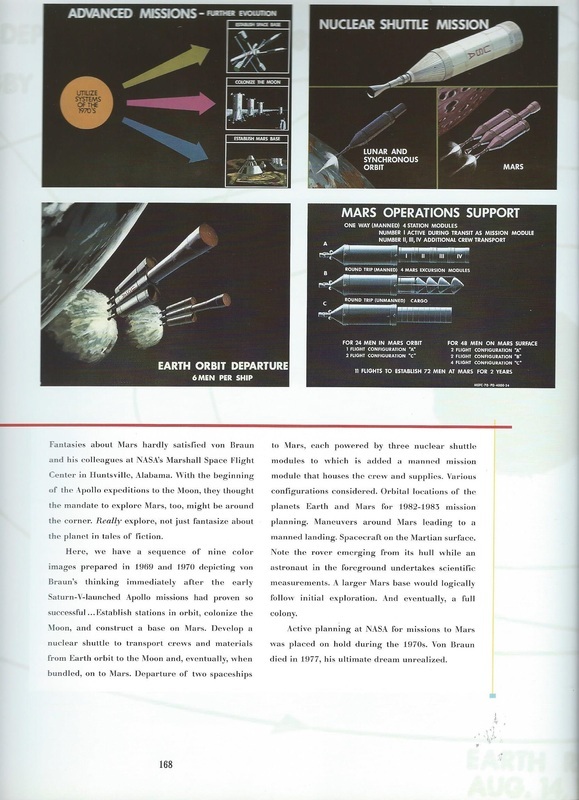 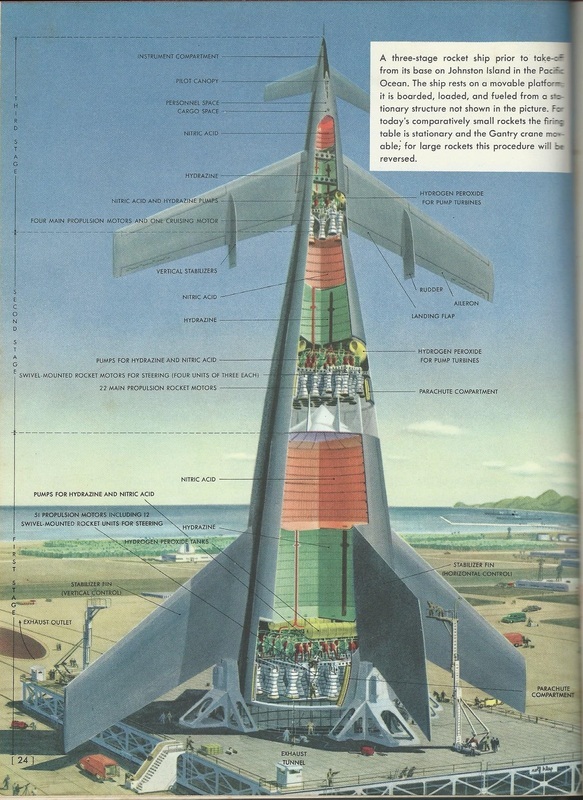 Notice, by the way, the use of the Von Braun-designed rocket also seen in Across the Space Frontier. 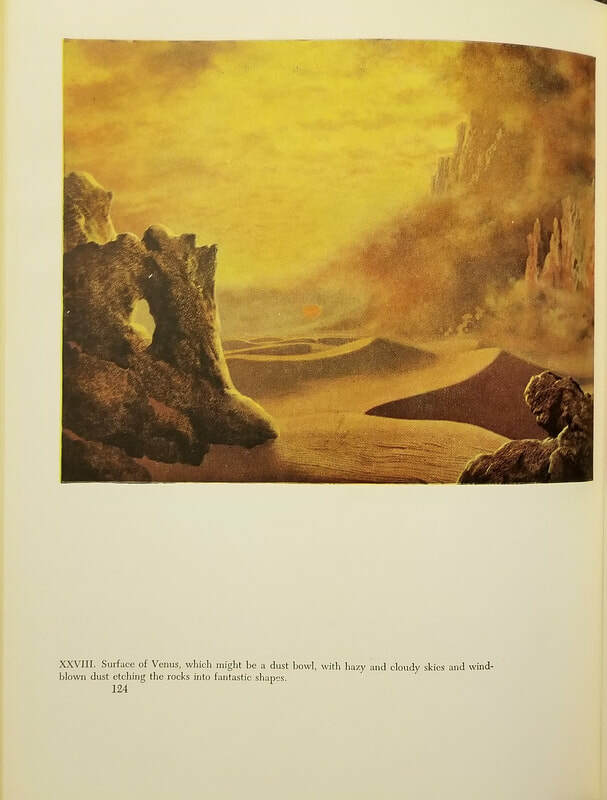 ...and what he believed he saw.